After you have entered the text, use the handles on the text to resize. Just click and drag. The handles on the corner will resize the text proportionately both horizontally and vertically. 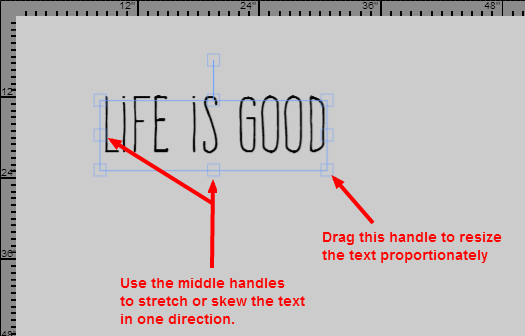 The handles in the middle will stretch the text in one direction.